This piece came to me after several agonizing months doing nothing with music. I understand the concept of the tortured artist, because I’ve lived it. The constant struggle for acceptance and success takes it’s toll when living your dream always feels just barely out of reach. I once heard a quote that got me thinking about this, and it was in the spirit of this idea that I got out my equipment, dusted it off, and composed this music. He’s right, of course. But sometimes the appearing light doesn’t come immediately. Sometimes it doesn’t even come a short or even long time later. Sometimes we need to walk in the darkness for a long time before the light appears. It is at those times we become truly acquainted with the dark. It’s not the dark of evil, but the dark of everything unknown. It’s the dark of living and working and striving day after day to find your place—to know your purpose—basically walking out into the darkness, and continuing to walk, and walk, and walk. Yet the light does not come. You continue because your heart says to do so, yet the light doesn’t come. You pray, you seek, you work, and you walk, and yet the light doesn’t come. Some become bitter. Others panic. But the truly courageous hold to the journey, not because they can see, but because it’s right. And because they continue to walk, they gain something far greater than light. They gain faith—real, lasting, unquenchable faith. To those that hold to this perilous journey, no darkness can stop them. Even as they stumble, they make it through. And they find and help others along the way. They lift, and they lead, and they strengthen, and they build that faith in others. In essence, they become a light to others, even while their own vision is obscured. But they’re not the blind leading the blind. They have vision beyond what light can offer. Don’t fear the dark. It is there to make light out of you. It’s remarkable to me that the God of Abraham, Isaac, and Jacob, the Great I Am, who appeared to Moses in the burning bush, and saved the Hebrew slaves from Pharaoh, sending plagues and seas on the pursuing armies, was born in the humblest circumstance—like the poorest of the poor, with straw laid out in a troff for His cradle. This little child, born anonymously in the most obscure circumstances during the busiest holiday celebrated by the children of Israel, was, in fact, the very God and Redeemer of Israel. I don’t know about you, but I sometimes find myself frustrated in my efforts to become all that my Father in Heaven wants me to be. There are so many voices, so many messages, so many possible answers to the everyday questions I’m faced with. It’s not that I’m struggling to decide whether or not to do what’s right, but I’m always struggling to know which thing is most right. Should I be playing with mykids, or studying my scriptures? Should I fix my house or call a neighbor to see how he’s doing? Should I clean myhouse, or spend time with myspouse? Should I do another hour of work to support my family, or help my wife make dinner? The toughest choices are often between good and good, and though the questions may sound trivial from a distance, they can really be really challenging in the moment. I sometimes wish I could get a quick, straight, yes or no from God. But He doesn’t usually work that way. He’s not just trying to tell me what to do, He wants to help me become what He needs me to be. Because of that, he let’s me decide. He’ll let me know if there’s something important He needs me to do right now, but otherwise, He wants me to make the choices. Still, I think it’s always good to seek His will, even if the answers don’t come, so that when He does have something specific for me to do, I’m ready to do it. And the more I heed the direction He gives, the more I’ll learn to see as He sees, do as He would do, and feel what He feels. Lord, be my eyes, words, thoughts, wisdom, home, strength, protection, armor, shelter, power, treasure, joy, and heart. Be exactly what you are: my everything. When discouragement, fear, and frustration overtake us; when we turn our hearts away from the truth; when we cover our ears to silence the heavenly whisper; when we pollute our lives with one bad choice after another; at some point we come to realize the hopelessness of our circumstance. At that moment of crisis, when it seems no light can be seen from any horizon, if we call upon God in the desperate hope He’s listening, we discover that the Lord is always, always, closer than we think. 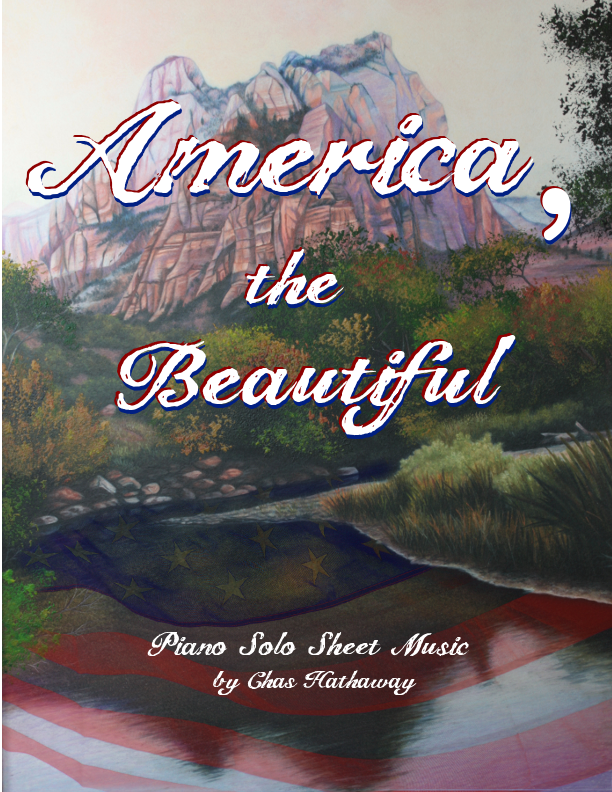 Sheet music for this piece is available at my website. Does that Star-Spangled Banner Yet Wave? Done. End of song. Play ball. Maybe that’s why I had such a hard time coming up with an appropriate arrangement of the piece. I toyed with the idea of staying true to the bold, triumphant style that is traditional for this song, and which fits the second and third verses well. But I couldn’t do it. 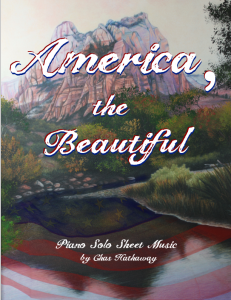 I decided to be fair to the lyrics of the first verse, the one portion of the text that we all know and sing, to that question of, “When the morning comes, will we still be a free country?” So I tried something a little different. Picture a soldier on assignment, watching the fight from his station, and seeing during the evening battle the periodic flashes of bombs illuminating the flag, but when the lights and explosions stop, the night darkens, leaving the question of victory or loss in the air. Then imagine the insufferable night of worry, of questioning, of insecurity, of fear. What about my land? What about my family? What will happen if we lose? The hours passing in darkness, the fear of even lighting a candle lest it spark more chaos. Did we win? Are we safe now? Does the flag still stand? That’s what this arrangement is about. Oh, and just for the record, I really like our national anthem now. Since I had so much fun writing this one, the transcription took a little longer than I expected. 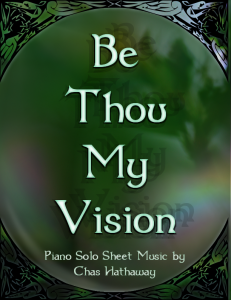 You can purchase the sheet music on my website, as well as download the MP3. I’ve always loved this piece, and I hope my arrangement captures some of my feelings about this beautiful land! 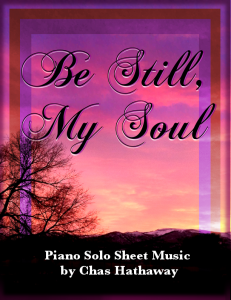 Be Still My Soul, Sheet Music Ready! 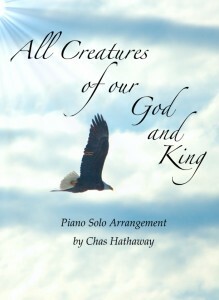 This is an arrangement I actually wrote a couple years ago, but realized only recently that it hadn’t been put on sheet music. How did I miss that? But never fear! 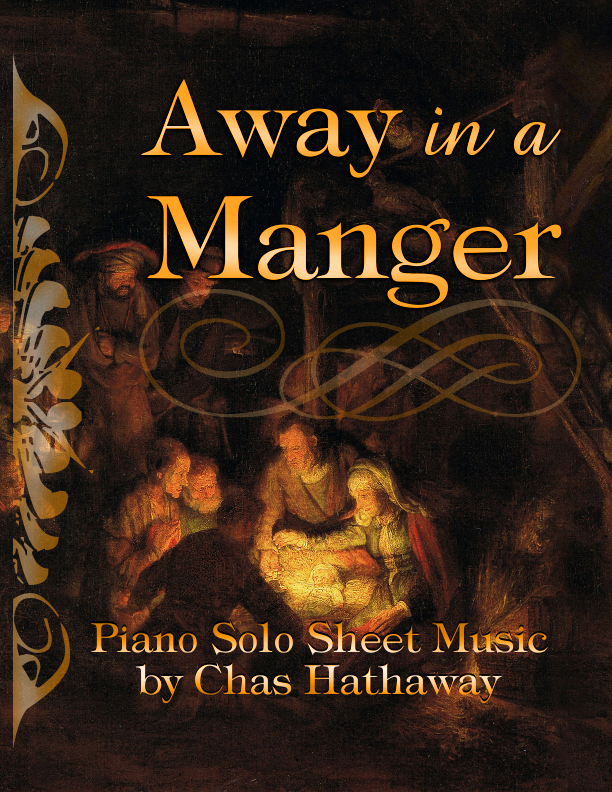 I’ve saved the day by putting the sheet music together and making it available on my website. On my mission to South Africa, I had many dreams about home. I mentioned this to a companion once, and he said since the beginning of his mission, he hadn’t once dreamed about home. This surprised me, because I hadn’t once dreamed about my mission or Africa – my dreams were always about home. Later in my mission I dreamed a few dreams about my mission, but the vast majority took place at home. There was one dream that recurred many times in my mission in different forms. I was home for a short time from my mission. I had little time, because for some reason I was about to go back. Knowing this, I told my family all the incredible things about Africa—about the culture, the people, the traditions, the art, the music—everything that fascinated me about this incredible land. In the dream, I’d be telling them as much as I could in the short time I had. Then I would wake from the dream and realize that I had indeed returned to Africa. About halfway through my mission, I had a dream that I’d returned home. It was the end of my mission, and I was home for good. In my dream I came to a striking realization that my mission was over. No more teaching, no more tracting, no more missionary work. I also had another shock when I realized that Africa was gone forever. No more teaching the word of God by candlelight in a broken shanty. No more beautiful African people, with their easy laughs and contagious faith. No more rusty golden sunsets or palm-cactus forests. No more walks down dusty, poor, villages with distant voices singing in perfect harmony from some unknown house, with pulsing drums carried in the wind. No more African stars glowing like nebulae in the night sky. No more red sand. No more Africa. In the dream, the realization of this loss hit me dramatically. I thought about the fact that there were no people in the world like Africans. No culture that was more unique and beautiful. I adored this people. Oh, how I loved them. In the dream I told everyone at home about all the African ways and the incredible African people. I told them about the amazing children of God who had learned and accepted the gospel, about their commitment and love for the truth. In my dream, I suddenly felt terribly sad to have left Africa. I wanted to keep teaching these people. I wanted to go back. I wanted to be a missionary in Africa for as long as I could. Because of these powerful feelings, waking up was a joyous relief. My mission wasn’t over. There wasn’t anything I wanted more at that time than to be a missionary in the Johannesburg South Africa Mission. Of course I missed my family, but for now, that was all I wanted, and I decided I would make my remaining year the best possible mission I could. 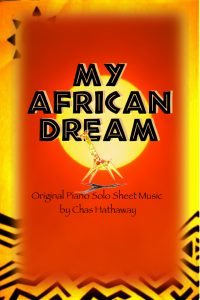 After writing the memoir of my mission, I wrote a piano piece called, My African Dream, to remind me of everything I loved about Africa, and the mixed emotions from the powerful dream of coming home and leaving it all behind. 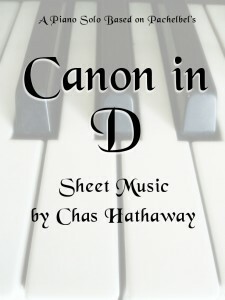 Canon in D was one of the first pieces I ever learned to play, and I had friends in high school who would call me Pachelbel because I was always playing it. 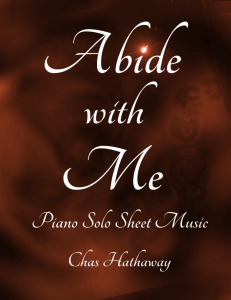 Over the years, I’ve come up with tons of variations and improvisations of the piece, but I thought I’d write a simple, straightforward version for those of you who enjoy this favorite classical melody. 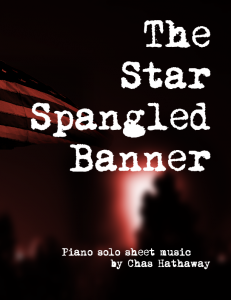 You can get the sheet music on my website.